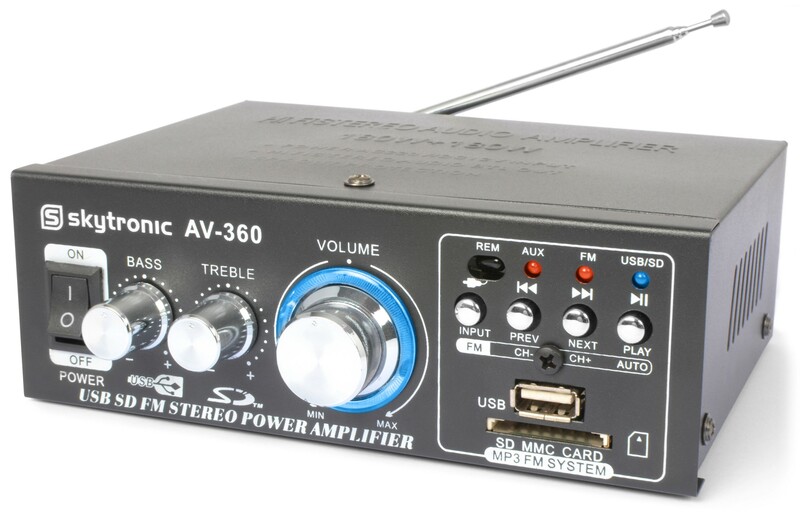 A 2x 40W Hifi stereo audio power amplifier with MP3 player, ensuring optimal listening pleasure. 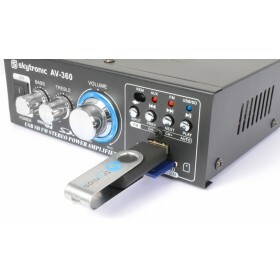 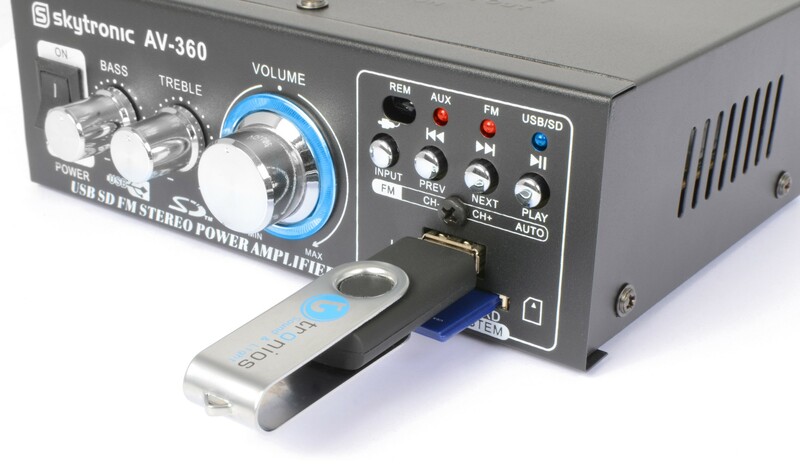 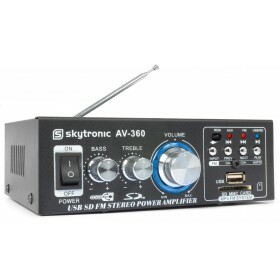 Even at higher volume levels the amplifier provides a high sound pressure. 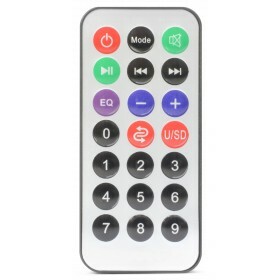 Featuring USB/SD inputs, Speaker-out protection, remote control etc. 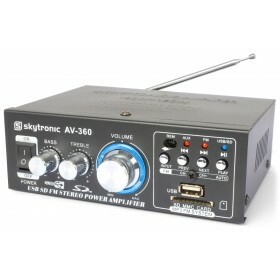 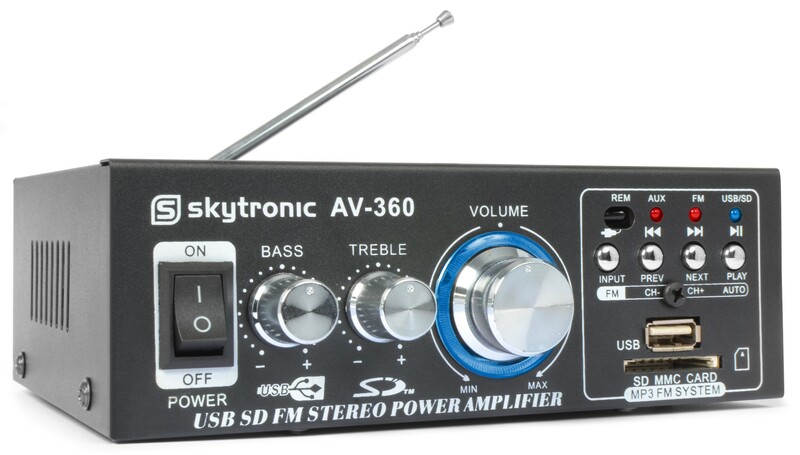 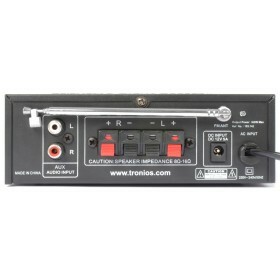 Comes with Bass and Treble control and an external 12Vdc socket.